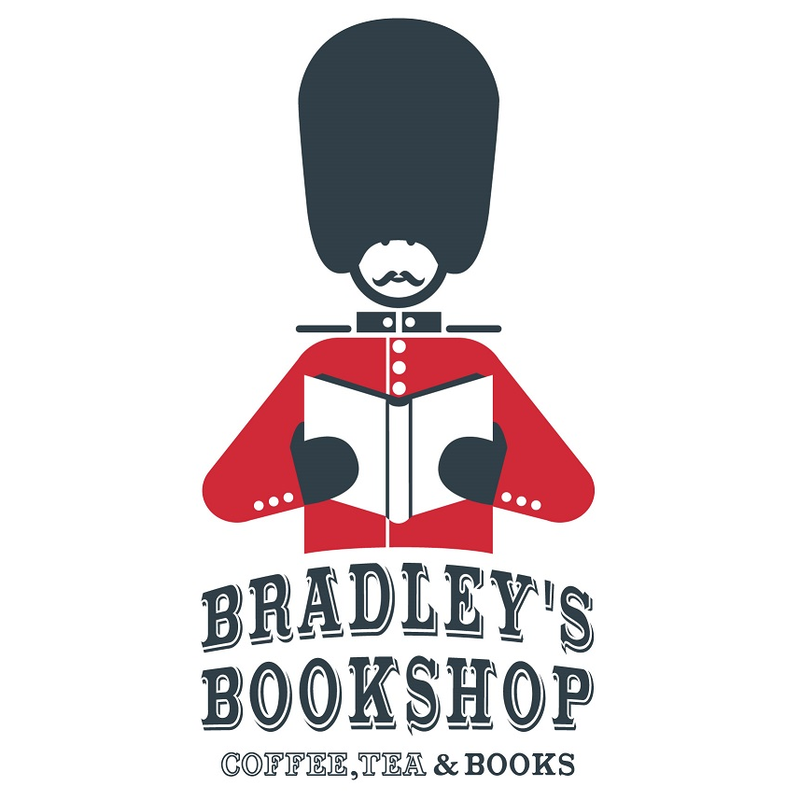 Well, here we are once more with a Nautical theme since our dear Kevin Schwarz has picked up the book Longitude by Dava Sobel I recommended last week and finds it fascinating! Which one was that you ask? Attention, it's not a novel. The complete book title is: "Longitude: The True Story of a Lone Genius Who Solved the Greatest Scientific Problem of His Time", a history book about John Harrison, an 18th century clockmaker who created the first clock (chronometer) sufficiently accurate to be used to determine longitude at sea—an important development in navigation. 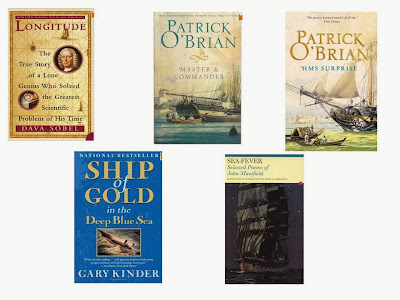 So don't miss out on the current reading trend and try Patrick O'Brien Master and Commander, the first of the series. The novels are set in the Royal Navy during the Napoleonic Wars and centred on the friendship of English naval captain Jack Aubrey and the Irish–Catalan physician Stephen Maturin. The story starts out on April 18, 1800, in Port Mahon, Minorca, a base of the Royal Navy at that time. A shipless lieutenant wasting away in port, Jack Aubrey, meets Stephen Maturin, a poor half-Irish and half-Catalan physician and natural philosopher, at an evening concert at the Governor’s Mansion. The two of them do not quite get along during this first encounter. A duel almost occurs when Jack Aubrey gets elbowed by Maturin to stop beating the time while the string quartet is playing! Curious for more...? Pick up the book from the Welcome area by the entrance! There's also H.M.S.Surprise if you can't get enough of O'Brien ;-)Some technical sailing terminology is employed throughout the series which I'm sure is terribly exciting to the sailing enthusiast but to the uninitiated such as myself it doesn't deter from enjoying the story. I simply shrug my shoulders and assume the crew is making the ship do something. In any case, if it sinks, you notice! Here's another book with a sea theme that is considered a modern classic: Rebecca by Daphne du Maurier. If however, you prefer actual History books the try Gary Kinder Ship Of Gold In The Deep Blue Sea.Attention: It's NOT a novel. This enthralling true story of maritime tragedy and visionary science begins with a disaster to rival the sinking of the Titanic. In September 1857, the S.S. Central America, a side-wheel steamer carrying passengers returning from the gold fields of California, went down during a hurricane off the Carolina coast. More than 400 men--and 21 tons of gold--were lost. In the 1980s, a maverick engineer named Tommy Thompson set out to find the wreck and salvage its treasure from the ocean floor. With knuckle-biting suspense, Gary Kinder reconstructs the terror of the Central America's last days, when passengers bailed freezing water from the hold, then chopped the ship's timbers to use as impromptu life rafts. He goes on to chronicle Thompson's epic quest for the lost vessel, an endeavor that drew on the latest strides in oceanography, information theory, and underwater robotics, and that pitted Thompson against hair-raising weather, bloodthirsty sharks, and unscrupulous rivals. I leave you with one of my favorite poems but you have to read it out loud to feel the rhythm and mesmerizing pull. Please note, that Masefield's use of the word "trick" indicates nothing naughty, but a period of duty on a specific task such as handling the wheel or lookout on the ship.